Hans Crouse will tell you – he be can be a little, well, quirky on the mound. 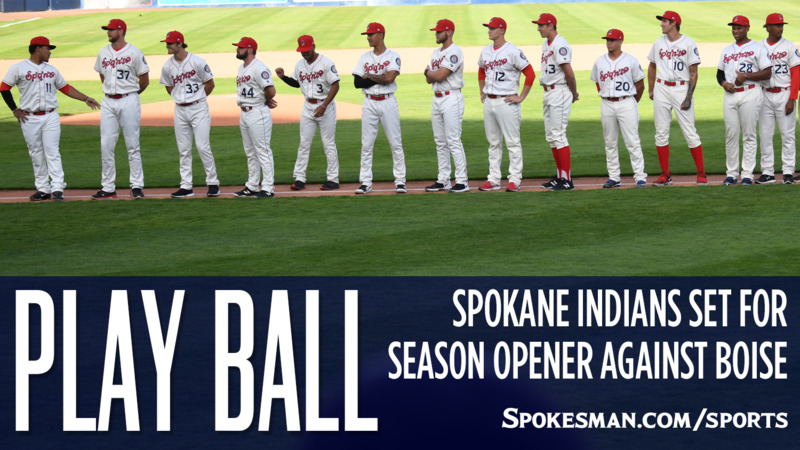 “I talk to myself out there quite a bit,” Crouse, 19, said on Thursday in the Avista Stadium dugout which will be his home away from home for the summer. For those unfamiliar, Mark “The Bird” Fidrych was a talented but eccentric righty for the Detroit Tigers in the 1970s who would talk to the ball and get on his hands and knees to smooth out cleat marks on the pitching mound – during an at-bat. Crouse, named the Indians’ Opening Day starter, will use every tactic available to him to gain an advantage on a hitter. Indians manager Kenny Holmberg doesn’t mind the theatrics as long as Crouse can remain focused on the task at hand. “He might get a little ahead of himself with the crowd and the atmosphere, but as long as he keeps himself under control, and keep control of his breathing, and (catcher Isaias) Quiroz does a good job helping through the process the first couple of innings navigating through together, he’ll be fine,” the skipper said. Quiroz wants Crouse to be himself on the bump as much as possible. “I want every pitcher to be who they are on the mound,” Quiroz said. “I don’t want to take anything away from them. I want them to be them, because that’s what their true colors are. Hans Crouse is a very animated guy, and I love it because he’s a competitor. Crouse has more of a personality than some on the mound, but he has the stuff to back it up. The Dana Point, California, native features a mid-90s fastball, an MLB-ready slider and a changeup that all agree is a work in progress. Holmberg has a vivid description of who Crouse is a pitcher. “He’s a predator,” Holmberg said. “He’s a hunter – he’s not going to get hunted. He’s going to go right after guys. He’s going to try to establish his fastball, command it. Crouse, the No. 66 overall pick in the 2017 MLB Draft, was honored to get the call to start the first game of the season. Holmberg returns to the dugout as a field manager for the first time in three years after serving as the Texas Rangers minor league infield coordinator, but he has an appreciation for his predecessors. But he explained that with all the pomp and circumstance of Opening Night, there’s still work to be done. Now that the preseason public relations duties are done, the new manager is ready for his players to get after it on the field. “We’re excited,” he said. “Anticipation of Opening Day, Opening Night, especially in June. It’s always a longer wait than most folks have to do in April. Published: June 14, 2018, 7:38 p.m. Updated: June 14, 2018, 8:38 p.m.